Thirty years ago the only way to a career in cinema, and it was risky, was to find cinema by subterfuge. The usual trick was to take a degree in literature or history, and work film into the final project somehow. At the time there was almost nowhere in Australia to study film as itself because it was always subsumed within the theoretical confines of literature, history or anthropology. This was how the head of Ronin Films, Andrew Pike, found himself in Canberra at the Australian National University, doing a Masters in the history of Australian cinema. Quickly the degree became tangential to the real objective: to watch, critique and make films. There is something, he says, about the “scale of the experience” of the darkened cinema and the projected image that is irresistible. This same sense of magic, of calling, has affected the humblest and the greatest of cinephiles, from the anonymous film watcher to obsessives like Godard or Wenders. For Pike the cinema was more than images and the totality of its experience has been his guiding force. Now there are support networks, courses and grants and the legitimacy of film as art and business is well understood. But Ronin’s struggle in the preceding period was based on a passion rather than a decided and clear pathway. That’s not to say that current structures are unwelcome, or unnecessary to sustain an Australian industry that is by turns fragile and prosperous, but for Pike as for myself, there was some satisfaction in the loneliness of the cinematic obsession. This might seem romantic in the cool cash world of today’s film industry, but we are only here because others have taken a chance on what we might want to see. Imagine the effort involved, the quiet sense of pioneering, of working outside the system. Andrew Pike’s early contacts with cinema are best described as pure and personal. Anything less is trifling with the greatest art. First sightings are always important and often not revealed in public. Pike cites Jules et Jim and Rashamon as the first and earliest influences beyond the standard Hollywood films he saw in the suburban cinemas of his youth. The classical and the new authorship, a perfect conjunction in the history of cinema. This was the best of times to encounter the art of cinema. Like the New Wave directors so admired then, ensconced in the Cinematheque Francais, it was important to watch as much cinema as possible. The canon as it has come to be known, was developing, but not always accessible in Australia. This was not movies but cinema, and that difference has driven Pike ever since. His approach has set him apart from other distributors and financial supporters of emerging film projects in Australia. He admits his choices are often “eclectic” and based on self-interest, or perhaps self-pleasure. There is a degree of this in every cinephile, and it is an acceptable indulgence. One only has to read the early writings of Bazin and the directors he inspired to understand that the obsession with the cinematic experience is something that takes over a life. 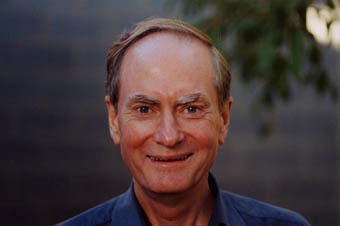 From writing his first book, Australian Film 1900-1977 (Oxford University Press, 1980), Pike took a natural leap into making films. As history was his intellectual base, production started with documentaries. Along with other emerging filmmakers based in Canberra, such as Dennis O’Rourke, Pike went to New Guinea with a 16mm camera. His instinct was to film the real. The result was Angels of War, an award-winning film about New Guinea in World War II. Pike shies away from admitting to a career plan, but it’s obvious that inevitable steps were taken to shape a life in film. If the documentaries were shot, who would see them? It was at this moment, in 1974, that he and his wife, Dr Merrilyn Fitzpatrick, made a most important decision to move into distribution. Pike has always believed there was an audience for the theatrical release of documentaries. For 30 years his company, Ronin Films and the cinemas Pike has been associated with (Electric Shadows in Canberra and The Academy Twin in Sydney), have championed the cause. He remains convinced that distribution is a nurturing process and that each film has an audience that must be attracted and rewarded. He has never believed in the ‘day-date-release’ method of distributing films where a title is simultaneously opened across the country and if it does not find its audience immediately, is withdrawn. The possibility of the darkened room and the white screen also allows for other, niche audiences to be found and for word-of-mouth and critical support to spotlight a film. This balance between the mass market and the niche is well known in publishing, music and other arts, yet in film distribution it seems to be increasingly pressured off the circuit. As regional and suburban independent cinemas struggle to get first release titles or even a fair proportion of art house films, the importance of distributors such as Ronin Films cannot be overstated. Following the early French titles came new and often challenging Japanese and Chinese films, matching the increasing influence of what might be called the ‘new art house’ extending from Tokyo through Beijing to Taiwan. There was then, as now, little room for these cinematic and cultural experiences in the programs of the multiplexes that now dominate the circuit and which clearly have a different business objective. Ironically, Pike is now back where he started. Production of a new documentary set in New Guinea is underway (Betelnut Is Bad Magic) as is a feature film about asylum seekers, White Lilies, written and directed by Canberra-based Iranian film-maker, Jamshid Malekpour. He also plans to direct a new project later this year. Andrew Pike has come full circle from his early 16mm documentaries in New Guinea and has retained the principles that enabled him to chart an independent course. He knows that passion can be eclectic and difficult and the most interesting cinematic careers come from the combination of conviction and risktaking rather than predictable and cautious decisions.